Runner-Up at the CMDRA Summer National's! 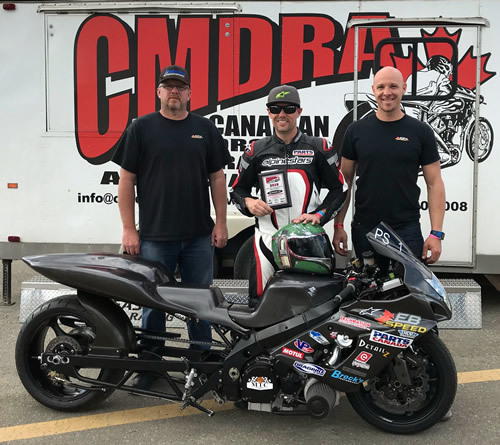 After a long off-season Ethan was finally back aboard his trusty turbocharged GSX-R1000 nicknamed "Eleanor" at the CMDRA Summer Nationals June 30-July 1. 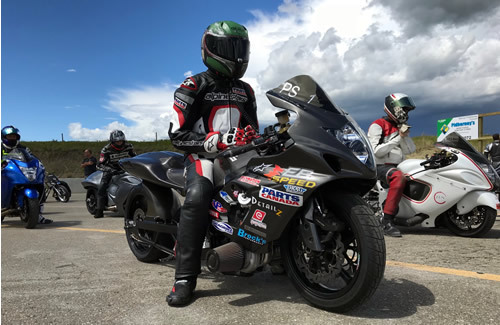 Even though Ethan wasn't able to make any off-season test passes he came off the trailer in Saturday's qualifying session with a respectable 1/8th mile pass of 5.05/153 mph. From there Ethan would keep tuning for the next couple of rounds where he finally ended up with 4.97 / 154 MPH which was good for second spot.